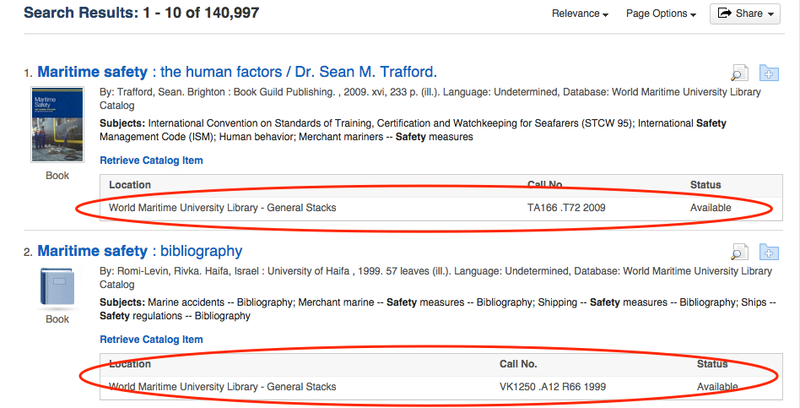 The entire catalog of the library's physical inventory -- print books and journals, reports, CD-Roms, maps, etc., -- is searchable in the Discovery Service. The default search tends to bring these items to the top of results lists. You can see the real-time availability and shelf-location from EDS without having to go the catalog itself. 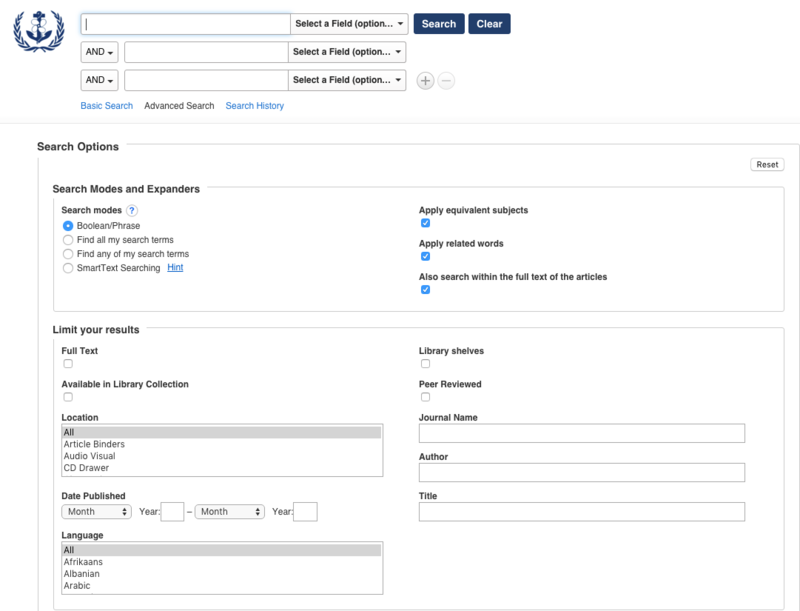 The Advanced Search and the Basic Search offer extra options to limit by whether or not item is in library collections (print or online), or limited to just the items in the catalog (of library's physical inventory, "Library Shelves") and several other criteria to help you refine your search. You can also limit by shelf location of the items in the catalog.